For the IUPUI registrar to create each semester’s course offerings, departments must provide detailed information on enrollment limits, instructors, meeting information, enrollment restrictions, and more. The Office of the Registrar uses a distributed schedule of classes (dSOC) to give units the most flexibility and control over their schedule. Each term’s schedule begins with a copy of the previous matching term (e.g., next fall’s schedule starts with a copy of the previous fall’s schedule). Departments review this prior term copy, correcting information and adding new classes directly in the Student Information System (SIS). 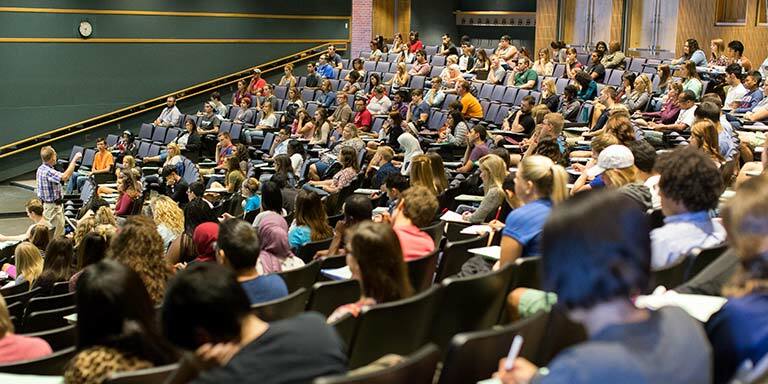 There are many policy and operational requirements that drive the schedule of classes and which affect financial aid, the bursar, campus space, advising, and degrees. This site gives an overview of these policies, but you can find details at Registrar Academic Support. Providing an accurate, on-time schedule has a tremendous effect on student retention and persistence to graduation. Throughout the build process, the Office of the Registrar is available to assist. We also provide training for new schedulers, both one-on-one and through resources offered at Registrar Academic Support. For more information about training and access to these resources, email our schedule team at schedlng@iupui.edu.